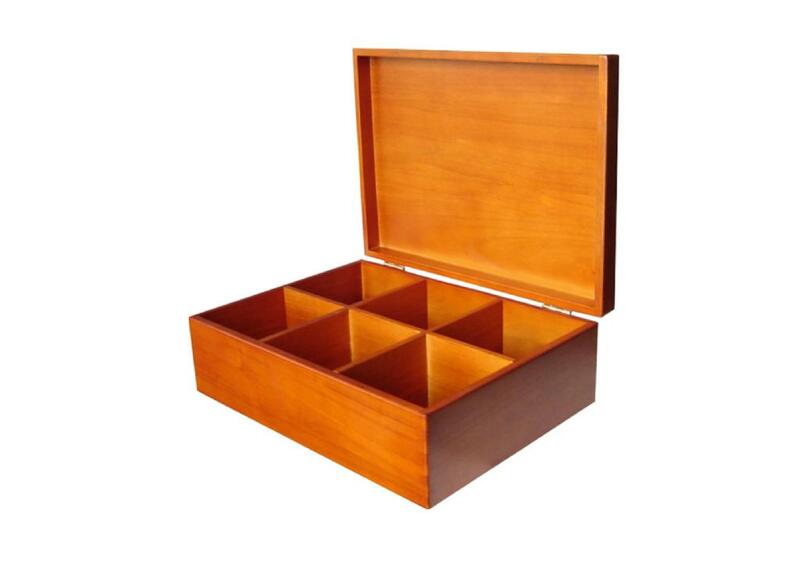 Featured in a light brown wood finish, this 6 compartment tea box is made of solid Paulownia wood. Each compartment has a dimension of 9cm x 10cm with a depth of 7.5cm. Customer logo can be imprinted on the front, if desired. Discount available when ordering larger quantities.